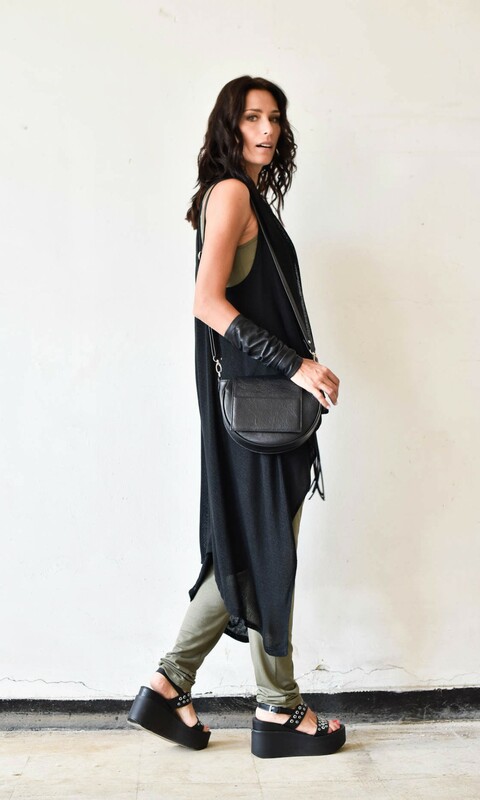 A long asymmetric knit vest with tank top back. With draped front lapels and trailing on the back. 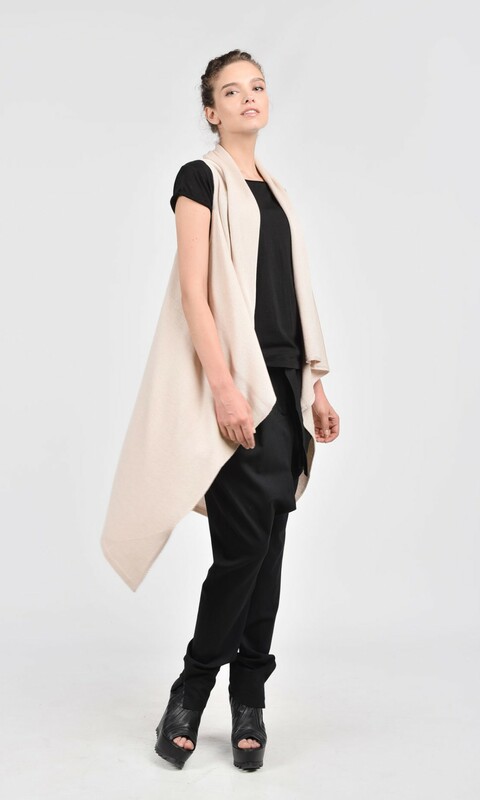 Slightly transparent, light and floaty, this vest it is both a garment and an accessory. Available in variety of easy to combine solid colours.